Going well beyond design alone, Hart Design has contributed towards the conceptualisation of a recent project for Lucentt, right through to launch. We provided a sounding board for how the new service should work, as well as our skill set in branding, graphic design and ecommerce website design. This is how the conversation started with Bruce Reid, Director of Lucentt, a company who strive to bring a modern, innovative and helpful approach to their industry. In a world where choice matters, Lucentt provide a range of products to celebrate life, uniquely, distinctly, individually. Bruce’s idea was to solve a problem in the New Zealand funeral industry and in the process create a benefit to not only Lucentt, but also the Funeral Directors Association of New Zealand (FDANZ) and their members. The problem? 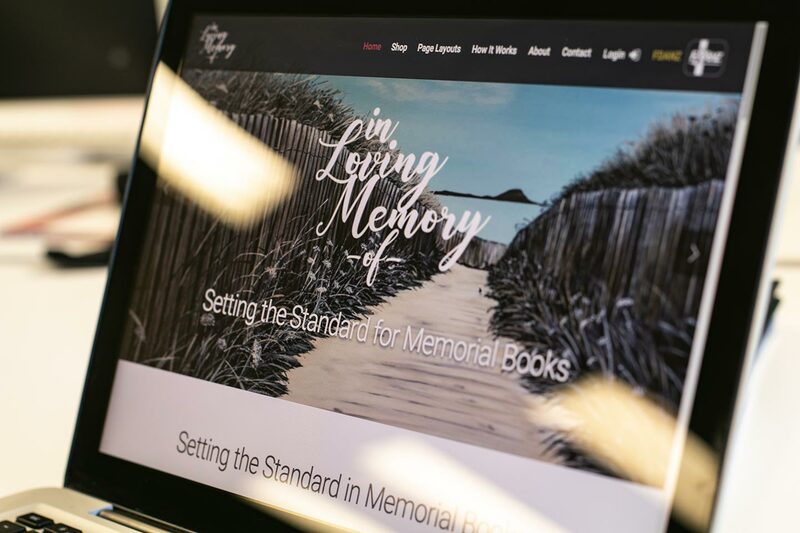 Many funeral homes – particularly smaller firms who do not have an inhouse graphic designer – find it challenging to produce high-end memorial books for their families. 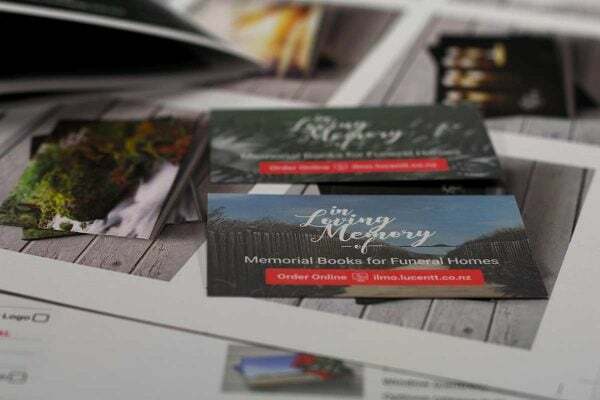 Partnering up with FDANZ, Lucentt have launched a new system for producing premium quality memorial books, easily, cost effectively and internally. 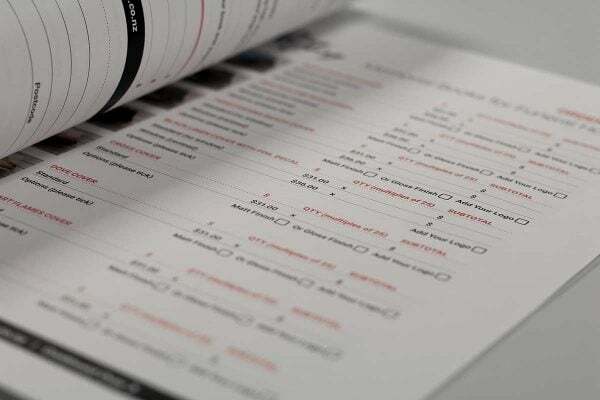 The memorial book system includes an easy-to-use page layout template, a beautifully designed range of pre-printed hard covers, and an automatic binding machine to complete the project. These books are branded discreetly with the FDANZ logo and can also include the funeral home’s logo. Given partnership between Lucentt and FDANZ, and that the system falls a little outside of the normal service offering of both, Hart Design advised that this system needed a life all of its own. Giving this idea a distinct brand identity would help create clarity around the new product. The unique brand acts as a beacon for this specific problem, and avoids the risk of it getting lost in amongst the other products and services on offer from both organisations. To this end, Hart Design borrowed a phrase synonymous with their industry and indeed the product itself. “In Loving Memory Of” became the brand. With a contemporary typographic logo designed, suddenly “the system” had a name and it brought the product to life. The key point to this design is its subtlety; with the choice of wording and the absence of any icon, it’s a brand without looking like a brand! For the families, they don’t see a brand; only the expression. And so the memorial book is not corrupted with what may otherwise be seen as an unnecessary and unwanted corporate identity. With the logo design in place, the hard cover designs were created for the memorial books using a varied range of photographic imagery as well as a serene painting of a sandy beach by artist Belinda Reid; the tone and subject perfectly in keeping with the purpose of these memorial books. For the internal pages, Hart Design created a 12-page template using Canva – a simple to use, drag-and-drop page layout software that allows non-designers to product great-looking pages on their own. As professional graphic designers, using Canva was a new experience for us, but it was mission accomplished! To further support the presentation at February’s conference, Hart Design has designed and printed A3 Z-fold brochures, simple business card-sized promo cards and an A4 order form for those who prefer to do business with pen and paper. 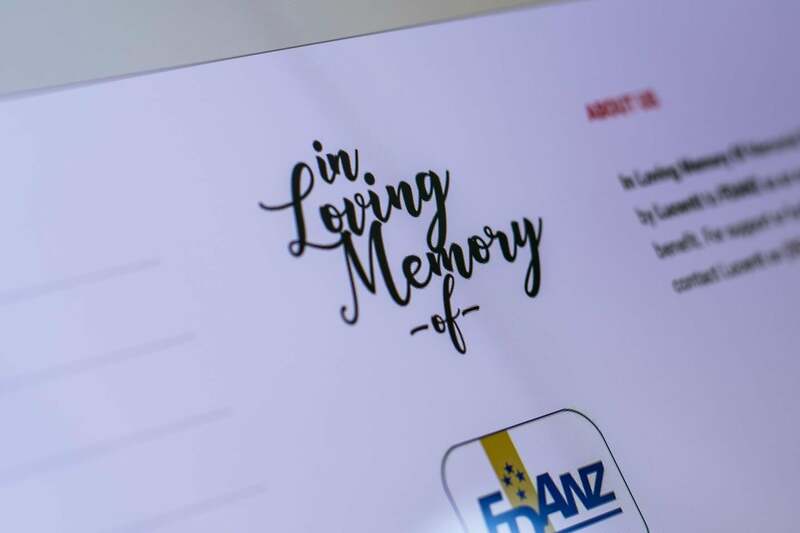 Additionally, Hart Design designed a magazine advert for In Loving Memory Of that has appeared in FDANZ’s own quarterly publication. The website introduces the product and how system works; and allows FDANZ members to securely order online. 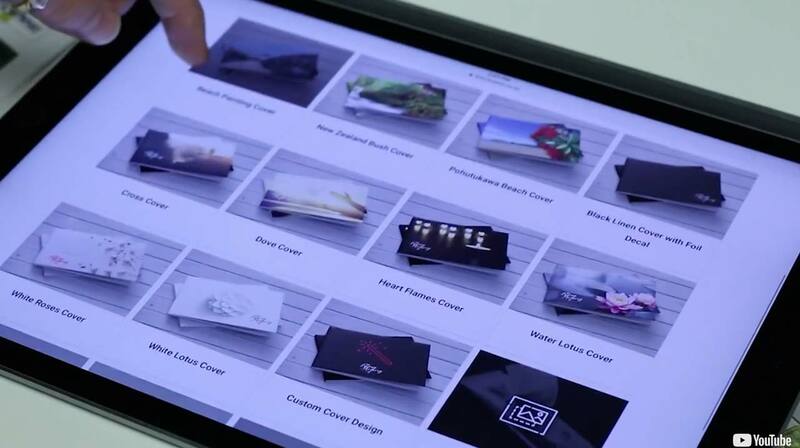 They can configure their selection of hard covers to their liking, order paper and the automatic binder, and gain access to the Canva page layout template. Being mobile friendly, Lucentt and FDANZ staff can help their clients get started by ordering ILMO products on their tablets. Want to create a memorable brand? Good branding starts with us understanding your business. We welcome a conversation.